Happy Solstice! 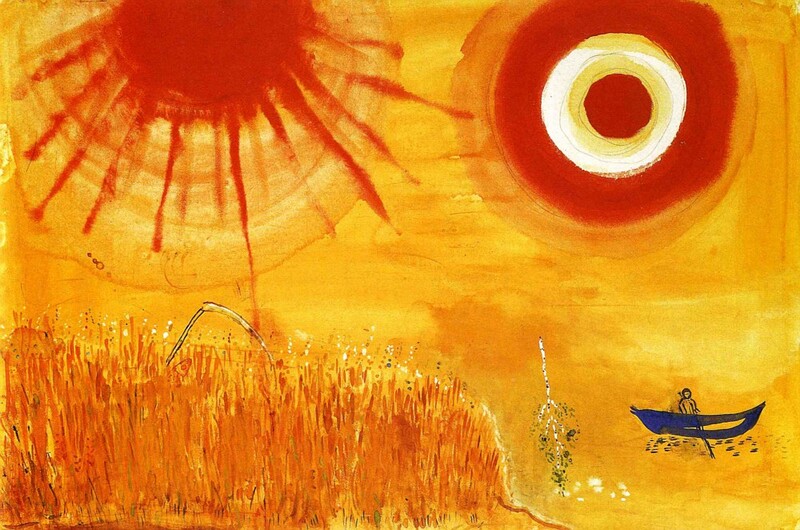 The Sun has centered firmly in Cancer now, and we can all sense how the energy of this June Solstice is settling around us in our environment. At this moment the Moon has entered Taurus, after a powerful few days in Aries in which the Moon re-triggerred the cardinal cross of April 2014 by being opposite Mars, in square to Pluto, and conjunct Uranus. 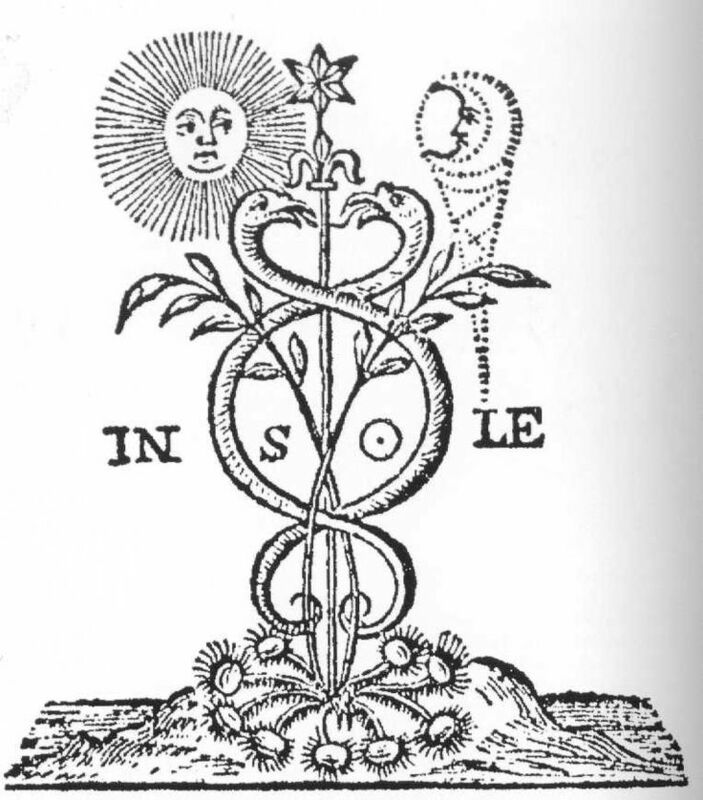 At the time of the Solstice, the Moon was in Aries and conjunct Eris and the South Node of the Moon, while again evoking the cardinal cross through being in square to Jupiter in Cancer. Paying attention to the solstice is always important as far as setting new intentions for our self, yet it can be especially beneficial at the time of the Cancer Solstice to tune in with clarity to our environment, discerning how the vision we have been manifesting in our lives is interfacing with our environment, and the meaning we are bringing into our lives. In astrology we often take a self-obsessed perspective that everything going on is about our self and our natal chart, when we really know from an ecological perspective the huge impact our environment and community has on us in every moment. Instead of only considering our inner psychology, patterns, and issues, an ecological assessment in astrology also considers our environmental fit, or how well we are able to manage and adapt to our environment and access the resources we need to live the lives we want to live. From this perspective, when our behavior is not living up to our authentic intentions, we can consider how much this has to do with being a misfit in our environment in one way or another, instead of solely being about some sort of psychological flaw. In no way do I mean to suggest that we should not take any responsibility for where we currently our in our lives, or how we are acting. Instead, I just mean that when we act out of alignment with our authentic self it can have less to do with a character deficiency and more to do with growing discouragement in the face of environmental conditions like gender discrimination, classism, racism, and poverty. The universe is alive around us, and we are living participants to such an extent that we cannot just isolate ourselves and our birth charts out of our social context. This is a powerful Solstice to reflect upon our psyche, our ego, our personality, but also what sort of community beliefs, resources, and entities are surrounding us day-to-day and how we are integrating with them. We may even want to look at how changes in our living environment, even smaller scale actions like re-decorating or re-arranging can help us make a profound shift at this time in manifesting more of our authentic meaning into our collective environment. 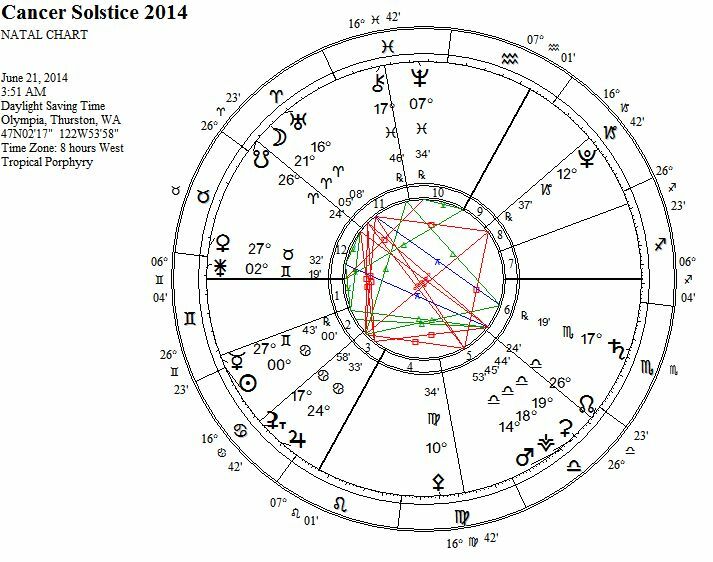 In the twenty-four hours before the Solstice, the Aries Moon of this Solstice chart re-triggerred the cardinal cross of April 2014 through an opposition to Mars, square to Pluto, and conjunction with Uranus. By the end of the Solstice day, the Moon had travelled through Aries to be conjunct the South Node of the Moon and square to Jupiter in Cancer. As a result, personal issues associated with the shifting of this past Spring could have re-surfaced for us to deal with, as well as challenges associated with catalytic collective events. For example, while we have known for a long time about the environmental destruction occurring on our planet, the time of the cardinal cross correlated with definitive scientific evidence of unrelenting arctic ice melt and widespread death of life in our oceans and bodies of water. This is a Chironic wound we are all dealing with in one way or another, some of us literally poisoned with disease by the toxicity of our living environment. In our personal lives, wherever we have not been taking responsibility for our behavior has likely reared it’s monstrous head for us to either confront or attempt to escape out of fear. If we have had self-inflicted challenges to face in this past week it is vital for us to gather the courage to responsibly face and manage whatever has arisen. However, even if we have been doing powerful personal work and taking full responsibility for our lives, most likely we have still experienced some extreme experiences and confrontations from external relationships in this past week, and there are signs these challenges will continue in this next week. In particular, Mars is approaching a conjunction with Vesta and Ceres in Libra while being in opposition to Uranus in Aries, and Venus is approaching a conjunction with Juno in Gemini while being in square to Neptune in Pisces. Bearing in mind that Mars is the ruler of the transiting North Node of the Moon, and Venus is the ruler of the transiting South Node of the Moon, we can further connect these personal aspects to collective patterns in our global society. The Mars conjunction with Ceres in opposition to Uranus could be especially volatile, and we will want to caution against incinerating our living environment like an enraged Ceres. We will want to think of how to effectively release feelings of anger through us in a way that does not completely destroy everything around us. Since everyone around us may be especially quick to the trigger in light of this aspect, we will want to be especially aware of how we are responding to any wounding experiences. In contrast, the Venus-Juno conjunction in Gemini in square to Neptune in Pisces could be more about disillusionment in our relationships and an attraction to someone outside our current relationship, or instead could be more about the awareness necessary to make changes in our current relationship so that we can become genuinely satisfied. The gem we can find in recent underworld experiences correlates with the Grand Water Trine between stationing Chiron in Pisces, Saturn in Scorpio, and Jupiter in Cancer and our capacity to own any projections we are creating, being accountable for our shadow or unconscious wounds from our environment. Mercury is still retrograde, and even though Mercury retrograde has gotten a bad label in popular culture, we can benefit from the inferior conjunction of Mercury and the Sun that occurred a couple of days before the Solstice to help us consciously shift unconscious thought patterns that have kept us in debilitating habitual reactions so that we can prepare ourselves to make responses to our environment from a centered place of authenticity. Eris and the South Node of the Moon have slowly been approaching one another, and though you cannot see Eris on the chart I posted above, she is currently at 24 degrees of Aries. Now that Eris is only three degrees away from the South Node of the Moon, it is interesting that their approaching conjunction was initiated by Jupiter in Cancer passing through in a square. Furthermore, Eris is also not too far away from an opposition to another powerful goddess in Ceres. 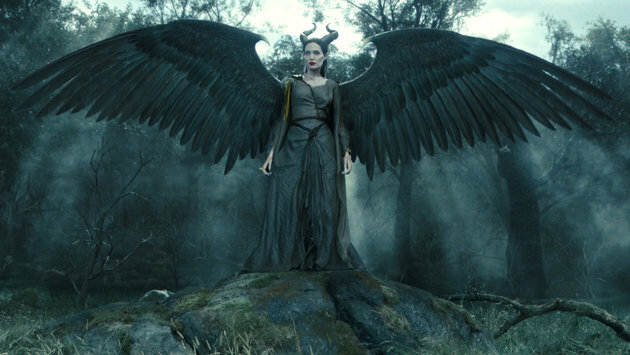 Themes connected to both Eris and Ceres emerge in the film Maleficient that was released this past May and stars Angelina Jolie in a role evoking the dark goddesses of myth. It is fascinating to me that at this time, none other than Disney would produce a high budget film about a chthonic heroine who has an affinity in our popular culture with the Eris of myth. Most of us know Eris as the goddess who threw the golden apple that incited events leading to the Trojan War, a curse enacted out of a vengeful feeling of being excluded from an invitation to a divine marriage. Similarly, in the popular version of Sleeping Beauty, Maleficent is a wrathful fairy who curses the infant princess out of a vengeful feeling of being excluded from an invitation to a royal ceremony. There are also parallels in Maleficent to the myth of Ceres/Demeter, including an angry Maleficent turning the green of her landscape into death, just like an angry Ceres refused to have anything grow on the planet after her daughter was taken from her. Eris was discovered in the sign of Aries, and all of us have personal interest in discovering on a deeper level just what exactly Eris in Aries may mean: this next period of time with Eris being conjunct the South Node of the Moon in Aries could be very illuminating along these lines. Our collective unconscious and our consciously collected history of collective events are saturated with cyclic patterns of revenge and violence. The unconscious destructive side of Eris comes out through a sense of being abandoned, persecuted, excluded, or forsaken, with a feeling that in order to claim power for one’s self means taking power over another either through violence or manipulative actions that lead to great discord. The film Maleficent to me shows how natural it can feel to become enraged with anger at oppressive forces in our environment that are taking destructive action against what we cherish and love. It is natural for us to garner the strength to do what we must to protect those we love from danger, but we create even more danger for ourselves when we lose touch with our authentic self in this process and lose control to such an extent that we destroy life with intentional malice. It may be very appropriate for us to become extremely angry with people in our environment at this time who are wronging us in one way or another. However, we will want to remember the true power of the goddess, the full potential of Eris and Ceres, is not in the ability to destroy and create fear of us in others, but rather it is in the power we have in us to stand strong in our full empowerment, in connection with our soul and the soul of everything in our environment. In the movie the Maleficent character in her wrathful mood feels a need to make herself into a Queen of status, when in reality she always held the natural power without the need for a title or official power over others- she was so powerful that she naturally took the lead and others naturally looked to her for protection and guidance. 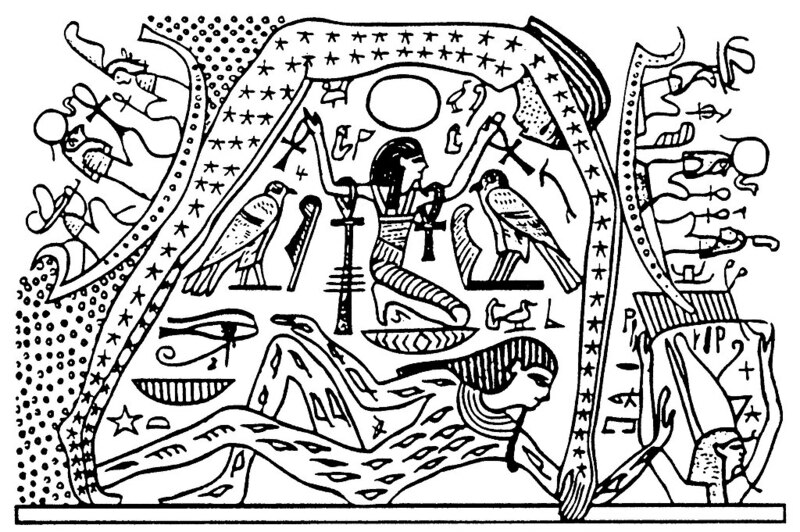 The goddess is a goddess of the underworld, a goddess of the earth, and we will want to maintain our connection between our center and the nature surrounding us. With Uranus opposite Ceres at this time, in range of a conjunction with Eris, we can liberate ourselves from past patterns of needing to take destructive revenge when we have been wronged, and instead use the energy to help others who are also wounded in our environment and take action to manifest what we want to have in our life. By focusing on what we want to create in our life in order to feel good, to have a sense of purpose we feel passionate about, we will naturally help inspire others in the process. In the end this will make us happier than if we instead had used all of our energy to plot the destruction of our enemies. Now is a perfect time to set intentions for yourself in this next three to six months, with awareness of your environment and community. It will be beneficial in this process to consider how to modify the vision you have been developing to be most effective in our current climate. Since there are many oppressive and manipulative forces out there who are determined to get their way at all costs, it may be necessary to develop a strategic plan to make sure you will have the space for your opportunity. Times are not easy, but there is incredible and important work to be done. Blessings to anyone facing a personal crisis at this time, and blessings to all on this Solstice in June.